This drone is the best mini drone also known as a micro drone, stunt drone, ufo drone, quadcopter drone, rc drone, flying toys, rc helicopter, rc helicopter for kids, and racing drone. 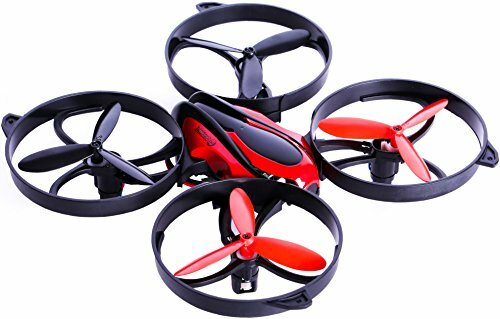 This quadricopter makes a great toy quadcopter, kids quadcopter, small quadcopter, or simply quad copter. Drones/quadcopters are great for a Christmas present, Birthday gifts for boys, birthday gifts for teens, Christmas gifts for boys, or Hanukkah gifts for boys! Guardian Drones are the perfect drones for kids, drones for beginners, drones for boys, drones for girls, drones for men, drones for indoors, and drones for adults. Some may think of the Puma as a nano drone, spy drone, tiny drone, drl drone, pocket drone, toy drone, little drone, small drone, and kids drone. Even though the Puma is affordable its not a cheap drone or the cheapest drone. Guardian Drones makes the best drones under 50 and drones under 100. Puma used to be referred to as a Ufo drone, rc drone, and mini ufo. . This standard drone is a great mini drone kit. This mini quadcopter drone, or drone quadcopter, comes with drone parts, drone accessories, and a drone charger to complete this drone kit. This flying drone does not come with a drone camera or drone case. Other drones could be called a diy drone, race drone, propel drone, solo drone, drone 2.0, wifi drone, best drone, hover drone, smallest drone, drone fpv, rc drone, professional drone, air drone, sky drone, quad drone, quadcopter, smart drone, pro prone, aerial drone, and indoor drone. Stable Flights: with 2.4GHz technology, 6 - Axis Gyro System for stability and enabling various flight movements. Fast/Slow Mode: This enables you to experience two different ways to fly. We recommend slow mode for beginners. 3D Flips: This drone can perform the 360-degree flip rollovers with one key. You can combo flips if the drone has the right altitude. LEDs - Two color leds so you always know where the front of your Guardian is going even at night. If you have any questions about this product by Guardian Drones, contact us by completing and submitting the form below. If you are looking for a specif part number, please include it with your message.